Over the years, I've directed or have been part of a number of digitization projects. With each new experience, I've gathered a series of questions, an aide-mémoire, to be explored before commencing a digitization initiative. By asking these questions during the planning phase of your project, you save an incredible amount of time, money, and effort later on. Make sure that you and your team, as well as the executive sponsors and stakeholders of the project, are in agreement about these elements. These questions explore issues related to image-based collections, but you can easily apply them to other types of collections too. Are they specialists, general users, or both? What will digitization enable them to do that is not possible with analog images? Do the images reflect the institutional mission and collections policies? What is the intellectual value of such images and their informational content? What are the images that are most valuable for teaching and scholarship? What images are used most frequently, and how are they used? What images are unique to the institution? Do the images have sufficient intrinsic value to ensure interest in their digital surrogates? Will digitization significantly enhance access or increase use by an identifiable constituency? What images are of highest monetary value? What images are judged to be at highest risk and why? Are there any restricted or sensitive images to be excluded? Are the images well captioned? Are the images duplicated well elsewhere? Do the images selected accurate represent the collection’s strengths? What is the physical condition of the images? Will the images be able to withstand handling during the scanning process? What size are the images? Are they oversized? Who will be responsible for evaluating the copyright status of selected images? Are they in the public domain? If not, can permissions be secured? Are the images free from donor restrictions that would prevent them from being digitized or publicly accessed? Are the costs in line with the anticipated value? Are the costs of scanning and post-scan processing supportable? What will it cost to maintain access into the future? 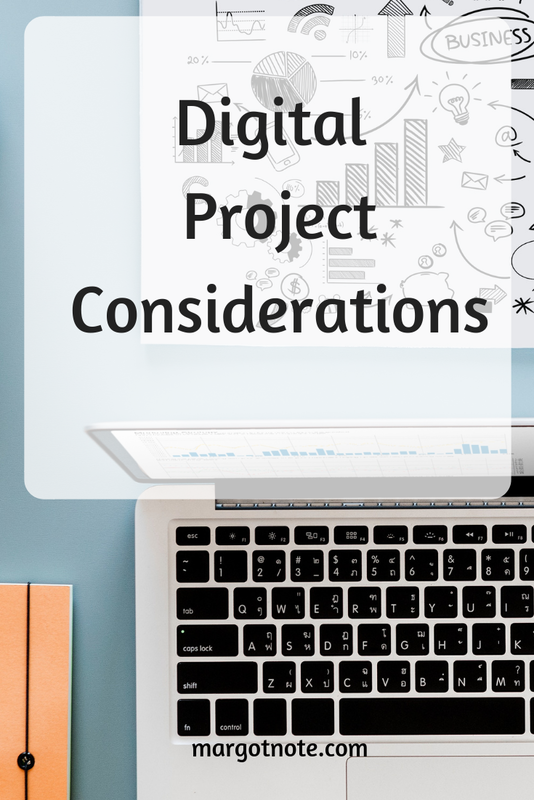 Is there sufficient technical infrastructure to create, manage, and deliver digital projects? Does current technology yield image quality adequate to meet project goals? What hardware is required to meet digitization needs? What software is required to meet digitization needs? Are there sufficient storage facilities to meet digitization needs? What will be the short-term, immediate benefits of the project? What are the long-term, strategic benefits of the project? What is the intended workflow of the project? Does the institution have the necessary expertise and resources to plan and implement the project? What skills, experience, or training will be required for each activity? Who will oversee digitization initiatives? What kind of staff are needed, and what will their responsibilities be? What institutional support and leadership can they expect? How will digitization affect staff roles and service at the institution? Are staff levels and available skills appropriate to support the growing size and scope of the collections and access to these images by users? Who will be responsible for each stage of digitization? Who will write project documentation and progress reports? Will images be conserved before being scanned? Will it be necessary to clean images prior to scanning? Will images need to be encapsulated or de-encapsulated prior to scanning? Will images need to be transported before digitization? Should the images be faithful reproductions or optimized for presentation? How will copies of the images be stored? Will master and derivative files be created? Is digitization complete? Are images missing? Are the files named for the correct original images? Have the images been captured in the correct mode (color or grayscale)? Are the images in the correct format and, if appropriate, are the compression rates correct? Does the image accurately represent the qualities of the original? Have the images been checked on a variety of monitors? If printing is required, have the images been output to a variety of printers? Who uses the images and how do they request photographs? What are the most frequently requested subjects? Is there sufficient metadata available to match perceived user needs and project aims? What metadata or finding aid scheme will be used? Is there enough information readily available about the images to provide a useful context to potential audiences? Will the images be linked to existing systems, or will it be necessary to develop a new access method for the images? Will the images be accessible and deliverable online? How will images be viewed? One at a time or several together to facilitate comparisons? What are the critical deadlines? How long will each component of the project take? What are the anticipated start and end dates? Does the timeframe include the possibility of delays? What new opportunities is the CMS intended to create? How will institutional buy-in be ensured? What is the cost-benefit ratio? What is the anticipated impact of the CMS on organizational thinking about and use of digital content? How will the CMS technology be integrated into existing systems? What metadata will be required to support the application of CMS technology? How and where will be the archival images be stored?